i. is methodically arrived at and systematically related. ii. consists of, or at least includes, a body of general truths. iii. enables us to make successful predictions and so to control the future course of events, in some measure at least. iv. is objective in the sense that it is such as every unprejudiced observer ought to accept if the evidence were put before him, whatever his personal predilections or private circumstances. It is against the above background that the claim of history tp scientific status will be examined. There is no doubt that both in the physical sciences (physics, chemistry, biology) and in history; knowledge is methodically arrived at and systematically related. When the historian sets to work, he seeks to produce a significant record (or knowledge) of the human past. He conducts an enquiry into the past of man in society with present evidence which may be in form of oral tradition, archival documents and archeological artifacts. The physical scientists conducts an inquiry into the natural phenomena through direct observation and laboratory experimentation. Both the natural scientist and the historian, like the scientist, does not just gather facts. He scrutinizes them by appealing to available evidence. His methods, like those of the scientists, are not exclusive to him or any group but rather open to all who have the proper orientation for use, review and further investigation. But difference exists and they should be noted. Nature, which is the object of natural scientists study is amenable to repeated observation. But replication is not possible in history. The historian cannot play back historical events; he can only reconstruct them. The implication here is that whereas the scientist gives a first hand account of the phenomenon he studies, the historian gives, at best, a second hand account of the events he inquires. Again, the object of the scientist’s study exists independently of him. He can therefore investigate empirically into the object of his inquiry. But historical facts have no objective existence outside the historian. The historian is a participant-observer. Hence, the moral and emotional aloofness of the natural scientist from the object of his study does not hold for the historian. The quality of the data upon which the two work is different. Whereas, the historian’s data can be said to be working with “raw” materials, the historian’s data (his facts) have undergone some processing. Scientific knowledge issues in general truths. If a Zoologist sets out to find out the habits or life history of a species of animals, he chooses a member of that species. Whatever he finds out to be true of his object, he generalizes about others in the group. But the life history of one man, or even of many individual men, will not tell anyone the life history of other men. What is more, one cannot make a full scientific analysis of the life history of any one man. Human beings are to complex, too spiritual and various for any scientific analysis; and the life history of millions of men cannot be inferred from the history of a single man. It is true that physical sciences no longer dwell on exactitudes as before the discovery of new phenomena is constantly bringing about the recasting of theories. But the truth is that their probabilities are still far nearer certainty than in history. E. H. Carr has argued that “the historian constantly uses generalization to test his evidence” and that the historian “is not really interested in the unique.” In explication of his argument, he contends that whenever the historian speaks of a “war” or of a “revolution,” he is using generalization; implying that there are certain features which characterize these terms. But there generalizations which are not contestable, are in no way akin to the formulation of general laws. Granted that scientific laws are no qualified as working hypotheses expressions of tendencies and probabilities and not exactitudes, it is clear that in the physical sciences there are laws which differ in scale from any generalization which the historian might feel competent to make. Carr argues at length on the fact that the historian is capable predicting the future. But even then, he admits that he is not suggesting “that the inferences of the social scientist or of the historian can match those of the physical scientist in precision, or that their inferiority in this respect is due merely to the greater backwardness of the social sciences. The underlined phrases clearly establish that there are predictions: one in the physical science and the other in history and social sciences. The fact remains that the historian’s concern is with past (the fact that he reconstructs that past in the light of present evidence notwithstanding). Though his expertise permits him to make some intelligent predictions about the present and the future, but that is not really his business. “Historians do not prophesy” is a popular cliché. What, in fact, the historian does, in the normal courses of his enquiry, has been termed “retrodiction”. He makes an inference about something for which he does not, as yet have full and sufficient evidence. He tries to suggest what will be seen to have happened once the full (or rather new and logical) evidence is available. Put differently, the historian uses new evidence not to foretell what the future will be but to recast what the past might have been. The fourth characteristic, that is, of objectivity marks a fundamental difference between scientific and historical knowledge. The scientist can be absolute in his findings, but the historian can never be completely objective. Right from the moment he begins to collect his evidence, the historian display his subjectivity. Since he writes from a particular point of view and for a particular audience, he discriminates between facts that are available and are related to his study. Carr says “the point of view of the historian enters irrevocably into every observation which he make, “history is shot through with relativity.” The historian’s conclusion is therefore coloured in the sense in which scientists is not. 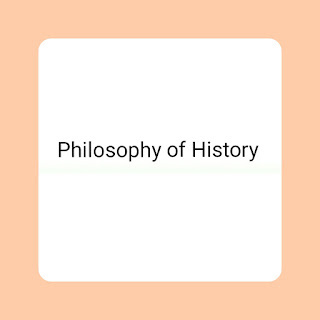 Thus the historian has put his own “predilections” or “private circumstances” into his account and as such could not claim (objective) status for his discipline. Hellenistic civilization refers to the synthesis of Greaco – Roman civilization. The historiography of the period has also been referred to as Greco – Roman historiography. One of the most outstanding figures that this era produced was Polybius. None of the writers of the period carried on the scientific tradition started by Herodotus and Thucydides. Indeed, after Polybius there was a gradual decline in the quality of historical writing. They developed a method of scholarship which Collingwood described as "scissors – and – paste method." While only the introductory chapter of Polybius works was constructed on the “scissors and paste method;” it was the whole body in the Livy's work. He just assembled the traditions and records of early Roman Historian and welded them together into a single continuous narrative history of Rome. Although, a philosophical historian, he accepted the Roman tradition of origin at its face value and repeated them in good faith. The Hellenistic age did not pursue the vigorous historical scholarship laid down by Herodotus and Thucydides. In the feverish pursuit of writing a world history, the historians of the age developed a new method of historical research which, the so-called “scissors – and – paste.” This method simply involved the compilation of data from several disparate sources and authorities after which they would then be weaved into a single story. This method was far inferior to the Herodotian and Socratic method of the 5th century. The most distinguished historian of the age was Polybius and with him Western historiography reached its peak. Like any historian Polybius addressed himself to particular subject matters, e.g.. Conquest of the World by Rome. His field of research was probably determined by his vocation – He was a Republican Senator in Rome. Besides his preoccupation with politics, Polybius broadened the Romans’ conception of history. History, to the Romans, meant continuity and in this regard minutest details about every – day life was meticulously recorded. Although Polybius was ambitious (to have written a comprehensive history of Rome), he realized that he was handicapped by his sources and age. Thus, he began the story of Rome some 150 years before the time of his writing. And despite the fact that he relied on those authorities which he adjudged trustworthy, he still remained critical of them. In other words, he did not allow his sympathetic feelings towards the Romans to becloud his sense of judgment. It was with this object in mind that Polybius refused to concern himself with the problems of origins of the Roman peoples. Another worthy contribution of Polybius to historiography is that he himself to a more definite and concise conception of history. He used the word historie not in its original and quite general sense as meaning any kind of enquiry but in its modern sense of history. He was a proponent of this science to universal study for its own sake. He was the first person to conceive such an idea. History for Polybius is worth studying not because it is scientifically true but because it is a school and training for political life. He, however, did not think that the study of history would enable men to avoid the mistakes of their predecessors. According to Polybius, the only lesson we learn from the tragedies of historical actors is not to avoid such tragedies in our own lives but to have the fortitude to bear them when fortune bring them. With this position, it stands clear that the idea of fortune or determinism was an important ingredient of Polybius's conception of history. Nonetheless, Polybius was an accomplished historian in the context of the time and with him the Hellenistic tradition of historical thought passed into the hands of Rome. Although the Romans produced many remarkable writings they fell short of the standard of historical scholarship recommended by Herodotus. Indeed, after Polybius, there was a gradual decline in the quality of historical writing. The only positive challenge was offered by Livy who ambitiously attempted to write A Complete History of Rome from the Earliest Times. The snag, however, was that while only the introductory chapter of Polybius work was constructed on the "scissors and paste" method, it was the whole body, in the case of Livy's work. Livy just assembled the tradition and records of early Roman history and welded them into a simple continuous narrative history of Rome. It was the first time anything of the sort had been done. Livy's history of Rome appealed to the Romans for two reasons: he had been able to produce a national history, a world history. Although, a philosophical historian, he was less philosophical than Polybius, (but far more philosophical than any later Roman historian). In the words of R. G. Collingwood, the scientific claim of his work was very low. First, he made no claim to original research or original method. In fact, he simply accepted the Roman tradition of origin as he found it. Second, he overemphasized the moral purpose of history. He only probed into the past with a view to providing an example of early days when the Roman society was simple and uncorrupted and showing how the foundations of Roman greatness were laid in this primitive society. In the, event, he exaggerated the virtues of ancient Rome and romanticized its past. Despite these flaws in his conception of history Livy was able to recognize that history is essentially humanistic. The Roman age was, not an age of vigorous and progressive thought. It did singularly little to advance knowledge on any of the paths that the Greeks had opened up. Indeed, after Livy there was no genuine historical scholarship. The succeeding writers became more content with compilation, plagiarizing the works of their predecessors and producing not historical accounts but propaganda. In fact, as far as methodology was concerned Tacitus represented a great decline. Apart from the fact that his works were a patchwork of quotations, his interpretative framework was very low. In his historical literature, he was obsessed with the teachings of morals. In fact, the major purpose of history, according to him was to record virtues and castigates evil deeds. Indeed, he saw nothing wrong in distorting history to achieve this objective. Besides, his works were characterized by a high degree of partisanship and low degree of objectivity. As Collingwood had revealed, Tacitus was flagrantly biased in favour of the senatorial opposition, had great contempt for peaceful administration and admired conquest and military glory. Plutarch, another Roman historian of the period, did not fare better. Plutarch's main intention in his work Twenty Two Parallel Lines was to show the virtues in the character of these heroes. The consequent effect was that the quality of historical writing became affected as historical reality became secondary to persuasion. Moreover, all Roman writers were carried away by the use of flamboyant language, literary imagery and stylistic, brilliance. At best they were mere rhetoricians rather than serious thinkers. One major feature of Roman historiography was substantialism – the idea that only what is unchanging is knowable. Although this anti – historical view had been deep – seated in Greek thought, Herodotus had, in the 5th century, proved that events are important in themselves. This stream of historical thought which flowed so freely in Herodotus became slightly dimmed under Thucydides when he contended that events are important chiefly for the light they throw on eternal and substantial entities of which they are mere accidents. If the stream was dimmed under Thucydides, it became frozen by Livy's time. The Roman writers drew a distinction between act and agent and fully subscribed to the view that history cannot explain how an agent came into being or underwent any change of nature. This explains why their writings were parochial in outlook. For instance, Livy's Complete History of Rome from the Beginning could not look at the growth and development of Roman institutions but with a Rome already fully formed and unaffected by the course of history. In the same way Tacitus believed that human nature and institutions could never change. According to him “a good man cannot become bad" and power "does not alter a man's character;” it only shows what kind of man he already was. In effect, Roman writers did not bother themselves with how anything came into existence; all the agencies that appeared on the stage of history were assumed ready made before history began. 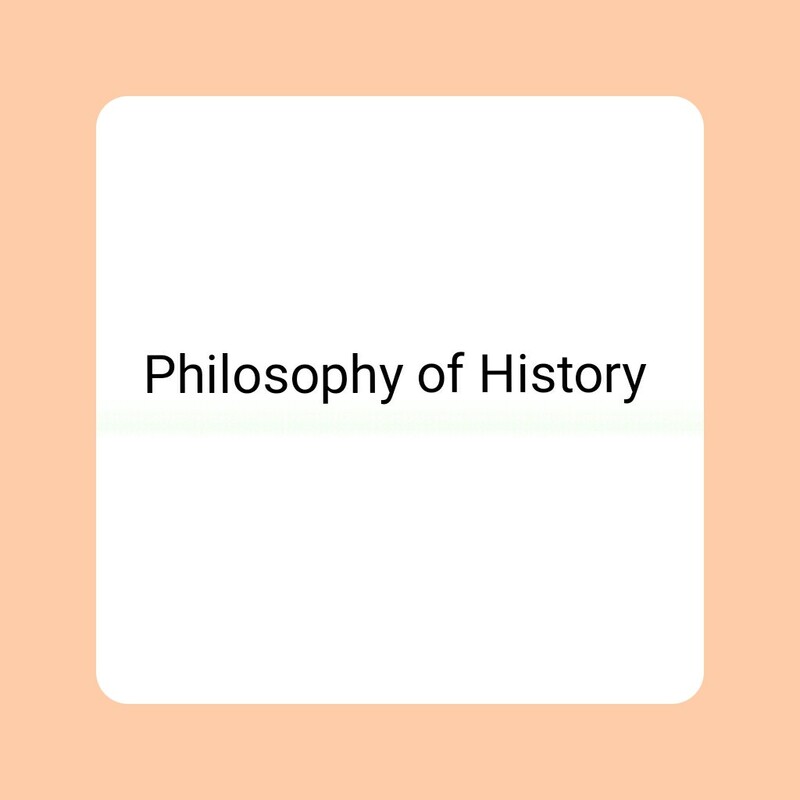 Briefly, the position of the historian during the Roman age was worse than Herodotus' era as he was regarded incapable of studying those events which constituted knowledge. Another feature of Roman historiography was its humanism. The era came into agreement that history is a narrative of human history, the history of man's deeds, man's purpose, man's successes and failures. No doubt, it admits a divine agency but the function of this agency is strictly limited. Indeed, most Roman writers secularized history making it entirely the activities of human beings. They contended that whatever happened in history, happened as a direct result of human will. Livy, in particular, dismissed as nonsense the attempt to offer divine explanation for any event. As a balance sheet, while it is true that the Roman era was barren of historical thought, it nonetheless extended the frontiers of historical knowledge into the distant past. It is to the Romans that we owe the conception of history as both ecumenical and national. For examples Livy's work – History of Rome from the Beginning - was a pioneering attempt. In a similar manner, Plutarch's treatment of some of his heroes also took him back to the origins of the Greeks. And, although the Romans were imperfect in handling their source – materials, they still demonstrated a high sense of duty in their meticulous search for evidence and careful preservation of historical documents. These admissions notwithstanding, the Roman era marked a decline in Western historiography. The present stage of historical scholarship was not arrived at overnight; it was preceded by some development and growth. The first stage in historical thinking was what is called "Theocratic History" or "Mythical Account." The earliest accounts are referred to as theocratic because (of course) the actions recorded therein are not human but divine; the statements made are not fruits of research but mere assertions. Again, the statements are not answers to questions. Although theocratic history is not primarily concerned with the history of human actions, it is nevertheless concerned with their individual actions in the sense that the divine characters in the history are superhuman rulers of human societies whose actions therefore are actions done partly to those societies and partly through them. In theocratic history, humanity is not an agent but partly an instrument and partly a patient of the actions recorded. Finally, these actions are thought of as having definite places in time series and occurring in the past. The man who elevated history to the level of scientific knowledge was the Greek named HERODOTUS. He was among the first set of Greeks to recognize that history is or can be a science and that it has to do with human actions. Herodotus lived in the 5th Century BC. Because of what he did for history, he has been, given the appellation "the Father of History." Before the 5th century BC, attempts to write about the past was theocratic and mythical. It was not a scientific study of human societies or activities. Although there were popular works such as Homer's, they were more about ethics, describing and embellishing the great deeds of the grandfathers of Greece. With Herodotus, however, there was a break in literary traditions. History for him is not legend, it is research; it is not mythical but about events in a dated past. It is not theocratic but humanistic. It was Herodotus who first used the word history to mean an "investigation" or "enquiry." He thus introduced history as a science. The greatness of Herodotus as the father of history is further buttressed when he is set against a background consisting of the general tendencies of Greek though – only what is unchanging can be known. History, therefore, is a forlorn hope. An attempt to know what has been transitory is unknowable. In other words, historical knowledge was considered impossible. Against all odds, Herodotus set to the probe the past activities of man. Questions were now asked to get definite answers. Through skillful questioning, he was able to convincingly prove that historical knowledge was possible, something which the Greeks had labeled a forlorn hope. Indeed, Herodotus derived his fame as father of history from his book, the Histories. The theme of the book was, The Causes and Course of the Peloponnesian War (Persian invasion of Greece, 492 – 479 BC). He was a child when the event took place. In his work, Herodotus used three main sources that were available to him. First, his own observations during his travels. He observed the buildings and customs of peoples in areas visited– Egypt, Mesopotamia, Palestine, Southern Russia, etc. Second, he took oral testimonies from witnesses or participants. Because of the closeness of the event, Herodotus had the opportunity of meeting people whop participated in the war before the event became blurred in their memories. Thirdly, he read existing documents and chronicles. The search for such materials was a crucial factor which distinguished him from his predecessors and further strengthened his position as the father of history. Are you quite sure you remember it just like that? Have you not contradicted what you were saying yesterday? How do you reconcile your account of that event with that different account given by so – and – so? This methodology was quite new at the time and it accounts much for Herodotus' fame. In some instances, one may accuse him of exhibiting a trait characteristic of the writers of mythical and theocratic accounts. In fairness to him, one has to understand that the degree that he could use his critical method was limited by the society in which he was working, the limit of the knowledge at that time, and the limit of his own personal knowledge. In most cases, he had no means of crosschecking events and hence had to use his personal initiative. Consequently, when faced with two or more conflicting accounts, he chose one which he felt was more probable. Nonetheless, he would still record the other version for the readers to make their own independent judgment. Whenever he made any choice, he would give reasons for them. Moreover, the Histories was the first European prose. Before him, most writings were in poetic form, chronicles and verses. He also used dialogues by which he put words in the mouth of the historical characters. We should, however, note that the reason for his action is that, at that time works were meant to be read in the public. For any work to appeal to the audience it had to be funny in content and interpretations. Nonetheless, the Histories measured up to the standard of a good historical writing. Although, the book by the present standard is mere logography, it thundered an historical development when it was written. In fact, the pioneering effort of Herodotus must be recognized. It was he who paved the way for the subsequent generation of scientific historians. His work is the fountain-head of modern historical thinking. Briefly, Herodotus can be regarded as the father of history because some of his methods and ideas still remain within the fold of modern historical scholarship: firstly, the use of the world History itself. It was Herodotus who first used the word to mean investigation or enquiry into the human past. Secondly, the humanistic concern in his work could be regarded as the beginning of social history. For Herodotus, history is nothing short of human actions and he paid detailed attention to peoples language, traditions and customs. Thirdly, Herodotus set himself certain objectives which had since remained important in historical scholarship. He set out to write an impartial account. He also set to document the great deeds of the participants of the Greaco – Persian war so that they might not be forgotten by posterity. In effect, he wrote for the information of his own and future generations. Fourthly, Herodotus' method of collecting materials can still be recommended for modern researchers; a meticulous search for evidence, vigorous cross – examination of informants and direct observation. Lastly, the critical analysis and interpretation started by Herodotus are, in fact, the basis of modern historical writing. It is therefore not surprising that R. G. Collingwood was full of praises for him and compared him with Socrates. However, there is an area where Herodotus fell short as an Historian. He believed that behind individual person stands destiny or fate which determines the course of his life. This emphasis on the centrality of divine intervention in the unfolding of the historical process led him to adopt an excessive moralistic approach in his assessment of the actions of the principal historical actors. Another Greek historian of the medieval period was Thucydides. Like Herodotus, Thucydides has come to be regarded as a giant in Western Historiography. This was because he carried further the scientific conception of history started by Herodotus. History for him is an enquiry, based on meticulous search for evidence, rigorous cross – examination of evidence of informants, weighing of evidence and direct observation. He was purely concerned with humanistic purpose of history. History for him was the study of human activities. Unlike Herodotus, Thucydides secularized the humanistic aspects of his thoughts. In order words, he excluded divine intervention in his historical writings. Instead, he postulated an explanation of chance or coincidence as the determinant factor in the course of human life. Thucydides did not regard history as mere story telling with occasional embellishment and explanations. His approach to the fact of history is that they should be used in revealing the deeper causes of historical events and movements. Thucydides was not a logographer but a scientific student. He chose to write on the Peloponnesian war because, according to him, earlier events cannot be adequately ascertained. One important area where he surpassed Herodotus was in his appeal to evidence. While one is left to gather from Herodotus' works what his idea of evidence was, Thucydides explicitly stated that historical enquiries rest on evidence. This was the picture of Western historiography during Thucydides' time. Today the world is witnessing the information era where knowledge is power. With more knowledge you have the power to access information globally through the internet. There is high demand from all works of life for filtered, processed, specifically packaged, tailor made and value added information. The information sector as a whole and university libraries which are the major partner of the information sector are undergoing serious challenges and pressure to provide right information to the right user at the right time also at the right cost. The present information environment has to enhance the expectations of users for timely, relevant, completely and easily accessible and tangible information services in the same vein as it is practiced for profit or commercial purposes. According to the 5 M’s of management (i.e. Men, Money, Machine, Material and Methods) men is the most important means for the optimum utilization of other resources. In other to provide information products, services and consultations according to the needs, desires and expectation of the users we need committed, competent, confident, dynamic, educated, motivated, and trained employees. It is this context that has brought Human Resource Development to the centre stage of library and information management process. Developing human resource means developing Human Beings who can change things, and be in tune with the ever changing information environment by adapting themselves or adapting to things and idea according to the environment in which they find themselves in. Human Resource Development is the process of helping people to acquire the following competencies in a planed and continuous way. To sharpen their capabilities this is required of them to perform at various capacities both at their present and expected roles in future. To develop general capabilities as individuals and exploit their inner potential for their own and organizational purposes. To develop an organizational culture and inculcate right attitudes towards customers. To equip clearly precisely about all the process, procedures, practices and other aspects of the job. To develop capacity and competence for higher work and greater responsibilities and accountability. Top performers of the world treat their employees as assets to be developed rather than commodities to be used. The theory is centered on investment in human development. Neither Machines nor stagnant, demotivated and alienated employees help to achieve the objectives of the organization. Libraries are non profit making service agencies having and human resource development effect on the community to be served. Customer is an integral part of the whole service delivery system. Like other services libraries are expected to remain a few steps ahead of its clients. Moreover, the shifting paradigms of customer’s service, technology (IT), financial management, efficiency, effectiveness, economy, reputation and recognition have forced the librarians to redesign there services and organizational structures to cope with the challenges posed by information environment in view of the above, human resource development instrument is needed for competency development, climate building and innovation development. Human resource development will improve the processes and process improvements leads to improvement in staff and staff development leads to all development. Human resource development instrument helps staff to sense, serve and satisfy the needs, wants and expectations of customers. Purpose of every organization is the development of the organization of the parent organization, and to provide products and services to suit the dictates of the environment. All the above developments start from the personal development of the individuals. Libraries are service enterprises aimed at rendering best possible information service, consultations and products to the satisfaction, desires, and expectations of the users. If this goal is to be achieved some human resources development interventions are to be implemented. Training aims to standardize behavior in a predictable set of circumstances, but education enables him to exercise judgment and decisions. Education, undoubtedly continues to remain the most outstanding development such that an educated person can acquire skills, attitudes, values and interest as would enable him/her become the subject of development. Qualitative based on commitment, team work and human touch needs both body and soul, heart and hand i.e. wisdom, compassion and labour. All staff members should be given the chance to improve their qualifications through Open Universities. Most of the library staff may be qualified in traditional library science and technique, and still might not be good at using of modern I.C.T facilities. All of them need to be trained and exposed on how to use the latest information gadget with special reference to the effective way of storing as well as retrieval of information. The new mind set, knowledge, skills would bring qualitative change in their service. Library automation and information technology is the major area of training and continuing education. The library is a service organization which is mostly concerned with the methods, skills and system for the acquisition storage, preservation, retrieval and use of literature. The main concerned of the library has always been determined primarily by the needs of those it serves and by the fields of literature it handles. Libraries increases productivity and performance through literature searching and reading. It also accelerates changes. In technology business and social activities and aids the development of new knowledge and also increases idea and provides new insight in improving competences with current information. Libraries are of greater help to the serious research worker in rapid development. The librarian is one who has the care of a library and its contents, selection of the books, documents and non-book materials which comprise its stock and providing information and loan services to meet the needs of its users. The librarian also oversees the maintenance of the library service; develop appropriate service for legal practice, set up new library new indexing system and introducing new technology responsibility for archives and internal microfilming programme. This is service provided by or for special library which draw attention to information possessed in the library or information department in anticipation of demand, this is done by preparing; and circulating news sheet, literature surveys, reading lists, abstracts, particulars of articles in current periodicals, organize, manage and develop information service develop sound understanding of information requirement and set up technical information service. Library and information services are encountered with change in the service rendering mechanism, and a matching change in its operational modalities and methods will also be imminent. Some methods have to be developed for service aspects. Exposure to these aspects of services and user friendly methods, systems and procedures are quite essential for changing library management scenario. Leadership: Beyond power and authority and based on voluntary compliance. Empowerment: The act of providing knowledge, authority, training, facilities and resource to individuals. Team work, Trust and Quality circles. Mind Sets: Organizational culture and attitudes. Being dynamic, creative and innovative. Intrinsic motivation, recognition and total involvement. Vision, mission, goal, objectives and values. Role analysis, job description, accountability and responsibility. Planning organizing, directing and controlling. Customer orientation and customer care based on excellence and humanization. Organisational learning, Bench making and reengineering. Reviews, discussions, feedback, counseling sessions. Job enrichment and job rotation programmes. Human Resource Development information and manpower forecasting. Relationships at work are crucial to organizational success as well as individual well being. Good relationships make the most horrible jobs tolerable or even enjoyable, while gets killed by poor relationships. Besides, organizations rely heavily on team work. Individual contribution does count in an organization, but critical to organizational well-being is a team member’s contribution to teamwork and results. It is essential for you as a new entrant to get along well with other team members, as also members of other teams i.e. intra department and inter-department team work and work relationship. Therefore, in your effort to create an impactful and credible reputation, your ability to get along with others, as also your interpersonal relationships skills assume critical importance. It is of little use if you are good; intelligent, sharp, and committed. It is of little use if you are unable to get along with others in your workplace. A good level of self esteem and self-worth. People who are uncomfortable with themselves are uncomfortable with others and teamwork suffers. Create a high level of self – comfort and self-trust, only then will you find it easy to trust others and be comfortable with them. Information technology (IT) has become pervasive in all walks of life. It is changing, the way people think, work and do business. Information has become a strategic global resource for user activities at all levels. In todays information environment, the delivery of information products, services and consultation depends as much on the providers ability to access local and global information as much o n education, knowledge, background and local conditions. In view of the above Human Resource Development mechanisms of continuing education, training in (IT) and managerial skills through seminars, workshops, short course which improve the work processes and will enhance the professional and personal competence, compatibility and capability of the library staff in meeting the organizational goals and delight of the users and pride of workmanships. Da Bas, K. C and Gill, N. S., “Managing quality in University Libraries in Kumar, R.P.Ed sustainable library and information services. Delhi 1997. Eaglen, A, Buying books; a how-to-do-it manual for librarians, no 4 New York; Neal Schuman 1989. Harrods, L. M, Harrods librarians glossary of terms used in librarianship, documentation and book crafts and reference book. 7th edition – England, Gower Publishing Company ltd 1990. Nwachukwu, C. C., Management theory and practice: Africana first publishers limited Onitsha, Nigeria. Ramaiah, C. K., An overview of electronic books: a bibliography. The electronic library 23 (1), 1744, 2005. Rao, T. V, Strategies of developing human resources: experiences from 14 organizations, Ahmedabad, Indian Institute of Management working paper. The international dictionary of English language 1998 mass: Springfield. This paper reviews concepts of library and information services that can improve professionals training of librarians. The focus on Students Industrial Work Experience Scheme (SIWES) has been shown to be effectives and has become a necessary condition for the Award of Diplomas and Degree Certificates in the specifics disciplines in most institutions in accordance with education police of the Federal Government of Nigeria. The concept of Work Integrated and Oriented Training (WIOT), which is aimed at continuous occupational skill development and training of young professionals in early stages of their career is suggested. Similarly, the concept of Librarian Industrial Work Experience Scheme (LIWES) suggested is aimed at librarians, to bring transformation to industry and higher institutions as it can enhance and strengthen academic and industrial collaboration for the overall benefit of the nation. The paper shows that if and when these ideals are properly implemented, they will go a long way to enhance the achievement of a more qualitative and result oriented and information services for the advancement of Nigeria’s institution. Keywords: Library and Information Services, work integrated oriented training, Librarian Industrial Works Experience Scheme (LIWES). The need for library and information services and re-training of personnel is vital for industrial and economic growth of any Nation. Technology and business world are not static but evolving with each passing second with research and product development to achieve leading edge and marked advantage. Thus, it is highly essential that employees are regularly updated in their knowledge and skill in order to achieve improved productivity and efficient and sustained business environment which are desirable indices of most investors. The success of Student Industrial Work Experience Scheme (SIWES) in bridging the gap between the theoretical knowledge impacted in tertiary institutions and the practical experience of the work environment cannot be overemphasized. SIWES provide opportunity for students to familiarize themselves and be exposed to practical work related to their course of studies, thereby supplementing and strengthening and their theoretical knowledge. The logical extension from SIWES which is primarily for student is the concept of Work Integrated and Oriented Training which is aimed at young graduate professionals in early stages of career. The concept and vision of WIOT is to encourage continuous occupational skills development and training. It is widely known that when a tree stops growing it start decaying. This is also tree of knowledge and business. Learning must increase hourly. After graduation and securing employment, most young graduate assume that they have arrived especially with fat pay cheques which their parent never dreamt of. Except for job-driven ones, most of them assume that further training was not needed. They assume that training and research were only for those in academic environment. However, the truth is that as a result of market competition and innovations, new technology and new methods of production is always emerging. Consequently each company is striving not only to stay in business but also to have leading edge over their increasing competitors. They realize the huge potential in young professionals and they invest heavily on them for future dividends. The objective of this paper is to sensitize information services awareness on the concept and beneficial work integration and oriented training and beneficial practice of SIWES, WIOT and TIWES so as to facilitate synergy and all-round commitment of young librarian profession to work integrated learning that could enhance and improve the Nigeria educational and National development. A Library is a social institution. As such to serve several purposes. It should help the life-young self-education of one and all. It should furnish up-to-date facts and information on all subjects to one and all. It should work for continued social well-being, as the agency in charge of all socialized recorded thought. It should contribute to productivity-drive by informing top-managements of the latest trends in diverse enterprises by ploughing back into the minds of researchers, designers and technologists every piece of relevant new thought, promptly and pin-pointedly. It should provide to one and all a harmless and elevating use of leisure. Thus a library has educational, informational, political, economic, industrial, cultural and antiquarian functions. Concept of Librarianship: Roles and Responsibility. A librarian is an information professional trained in library and information science, which is the organization and management of information services or materials for those with information needs. Typically, librarians work in public or university library and media centre. Some librarians are independent entrepreneurs working as information specialized capacities. Librarians may be categorized as a public, school, correctional, special, independent or academic librarian. Traditionally, librarian have been associated with collection of books, journals, newspapers, magazines, audio recordings(both musical and spoken-words), map manuscripts, photographs and other graphic materials, bibliographic databases, web searching and digital resources. Librarians often provide other information services, including computer provision and training, coordination of public programs, basic literacy education, assistive equipment for people with disabilities, and help with finding and using community resources. The Student Industrial Work Experience Scheme (SIWES) was initiated in 1973 by the Industrial Training Fund (ITF). This was in response to the mandate given to the ITF through Decree 47 of 971, charging it with the responsibility of promoting and encouraging the acquisition of skill in industry and commerce with the view to generating a pool of trained indigenous manpower to meet the needs of the economy..
SIWES has come to be recognized as the major avenue of bridging the gaps between the theory acquired by students of tertiary institutions essential to the technological and economic development of Nigeria. Since its introduction by the ITF in 1973, the scheme has gone through series of reforms and restricting. For instance, its management has changed hands from the ITF to the various regulatory agencies. National Universities Commission (NUC), National Board for Technical Education (NBTE) and National Commission for Colleges of Education (NCCE) and back to the ITF. Similarly, the structure and operational framework have been reviewed, streamlined and made more functional at the various levels of its operations. Following the resumption of management of SIWES by the ITF in 1984, the scheme had witnessed rapid expansion. Between 1985 and 1995, the numbers of institutions and student participating in SIWES rose to 141 57.433 respectively. In order to fully realize the social-economic development of the Nation, the logical extension from SIWES is therefore the concept of Work Integrated Oriented Training (WIOT), which is aimed at continuous occupational skills development and training of young professionals in early stage of their career. In this pursuit, the key players are the public and private sectors the young professionals and the higher institutions of learning. It is a strategy through which the academic and work experience are formally integrated through structured programmers that will be developed, executed and supervised by higher institutions in collaboration with their commercial/industrial partners. There is a need for higher institution to tailor their curriculum to meet industrial, commercial as well as government needs. With the current government policy encouraging higher institutions to source funds from other sources, they will be obliged to form cooperative partnerships with public and private sectors and local communities in order to deliver research outputs that will meet industrial, commercial and societal need. In the case of WIOT, there will necessarily be the need to have a workplace supervisor or mentor. There a lot of benefits to be derived by all stake holders. For the young professionals, such training could be go a long way to enhance registration with the Library Registration Council of Nigeria (LRCN) for the registration of librarians in Nigeria. It could also bring about the shaping of their professional skill and competent that will result in improved efficiency and productivity. For the employers, it will definitely improve staff efficiency and productivity, and also enhance stability and dedication of the work fore. There will be constant injection of new technology and innovative ideas from both researchers and field practitioners. For the librarians and researchers, it could lead to direct research grants from the employers. Development policies, there is need to ensure that those that are responsible for training the young to enhance the success of educational and national professional librarians are themselves updated. This is where it becomes necessary for librarians to undergo Industrial Work Experience Scheme. To help the life-long self education of one and all. To promote increased relevance of subject materials taught at Universities to the work situation in related field. To enable Librarian obtain a clearer picture of industrial if regarding opportunities and challenges. To reinforce the subject taught in classroom with the practical professional knowledge obtained in academic. To promote information dissemination and development of collaborative training programmes and research for national development. Eligibility: All cadres of academic staff for participation in SIWES are eligible to participate in TIWES. However, preference should be given to junior academic staffs without previous industrial experience or to more senior ones whose industrial experiences are outdated. Duration: The duration of TIWES should be three months so that it can be carried out during the university long vacation period. This will be without prejudice to the one year sabbatical leave that academic staffs are currently entitled. Funding: For the scheme to be successful, the Government and industries should provide the funding just in the same way SIWES is funding through Industrial Training Fund (ITF). There will be need to set up a supervisory body whose member are drawn from university and industries. At the end of their attachments, beneficiaries would be required to submit comprehensive reports similar to their SIWES attachments. Student final year projects can spring up from such reports and can be utilized to build collaborative work with the industries. The objective of Librarians Industrial Work Experience Scheme was primarily to enable library support new research and teaching initiatives through the timely acquisition of needed library and information resources and exchange experiences with professionals in the field and subsequently improve their curriculum delivery in the university system. The scheme will ensure that subject materials taught at universities are relevant and related to current industrial and academic needs of the nation. In conclusion, the concepts of SIWES, WIOT, and LIWES could go a long way to facilitate synergy and all-round commitment of young professionals to work integrated learning. If and when these ideas are properly implemented, they can have the potential to enhance and improve efficiency and academic input and productivity. It will also enhance and improve teaching, learning and researches techniques and capability of lecturers, librarians that will have opportunities of bridging the gap between theory and practical. Raghavan, K.S. and Prasad, K.N. (2009) Library and Information Systems. From Alexandrian Heritage to social Networking (Essays in Honor of Prof. S. Parthasarathy) Sarada Ragananthan Endowment for Library Science: Bangalore. Stueart, R.D. and Moran, B.B. (1998) Library and Information Centre management’ Libraries unlimited INC. Colorrador.